Faculty of Transport and Traffic Engineering, University of Belgrade, is the organizer of traditional student workshop „City and Traffic”. It is an annual workshop for students of traffic engineering from 9 European countries that has been held since 1996, and Faculty of Transport and Traffic Engineering, University of Belgrade, is an equal participant over the last 5 years, as the only institution from non-EU countries. Workshop will be held from 10th to 14th of July 2017 and it will deal with specific urban traffic problems in the city of Belgrade. The team representing each country will consist of a supervisor (teaching staff from University or member of the Institute) and up to five students who will work in mixed teams. This way, in addition to encouraging international students and research institutions cooperation, workshop contributes to the exchange of professional experience in the field of traffic engineering and intercultural exchange. Special thanks to The Embassy of Slovak Republic in Belgrade and Her Excellency, Dagmar Repcenkova for support to City and Traffic Workshop. The partners in this event are listed below. Main project objective is to gather students from technical universities from Visegrad region, EU and WB countries that will work on real traffic problems in host city, city of Belgrade. Objective is to generate new ideas and relatively cheap but sustainable solutions in the field of traffic and urban design, with an emphasis on promotion of non-motorized modes of transport, traffic calming and “design for all” concept. Even though, the cities in participant countries have the same traffic problems, it is recognized that traffic engineers have different approaches and opinions on optimal solutions to the problems. The workshop aims to sublime these different attitudes and offer them to participant students in direct interaction between themselves. Participants are strongly encouraged to share experiences. The additional value of the project is the number of participants from different regions (V4, EU and WB) that should contribute to the diversity of the ideas. This approach will encourage international cooperation among students and teachers. The students will get a clear impression about their technical and social skills which should help them in their future education and practice. The participation will also improve their confidence to deal with real traffic problems in their local municipalities. 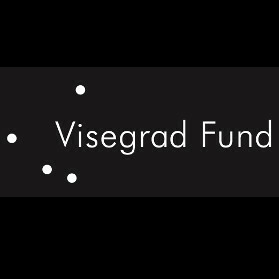 The project aims to gather 8-10 participating technical universities from Visegrad region, EU and WB countries. It focuses on students since they represent future experts in traffic engineering, who are not strongly connected to their colleagues from neighboring countries and regions. Cities and towns become more crowded and heavily populated. It is estimated that close to 70% of the population will live in the cities until 2020. Visegrad and Balkan region cities face the same problem because of the mechanical increase of the population. Consequently, traffic problems in the cities are getting more extensive: traffic congestions, pollution, noise etc., and local authorities often do not have funding to solve all the problems and they seek for cheap solutions. © 2017, Faculty of Transport and Traffic Engineering. All rights reserved.